Season Twelve is our best year yet with lots of exciting destinations and information! In our 26 full-length episodes we covered species such as Atlantic Salmon, Brook Trout, Smallmouth Bass, Arctic Char, Brown Trout, Northern Pike, Steelhead, Lake Trout and even Arctic Grayling! Our destinations are from Chile (Patagonia) all the way to Northern Canada (Nunavut and Nunavik). 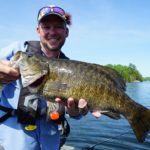 Lots of explosive surface takes, monster fish and educational details to help make you a better angler! 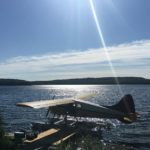 One of the best kept secrets in Northern Ontario is Lake Nipigon. This giant and ice-cold body of water has great populations of walleye, brook trout, and large pike! Host Bill Spicer travels to Onaman River Resort to sample some of the great June fly fishing for enormous pike on a fly. The spring time fly fishing for steelhead in and around Sault Ste Marie can be red hot. Host Bill Spicer joins Rod Trudel from On the Fly Fishing Company and learns about some of the little known steelhead runs that exist in the region. The Albany watershed which runs into James Bay in Northern Ontario is blessed with many wonderful rivers and streams which also hold good populations of wild Brook Trout. Host Mark Melnyk travels to Miminiska Lodge to explore many of these rivers and use top water flies to catch large brookies. Bill Spicer returns to Onaman River Resort to fly fish for coaster Brook Trout, which live around the islands of Lake Nipigon. Bill explains the structure they look for, flies needed and flylines used to help connect with these beautiful Brook Trout. In southern Ontario the Grand River has become famous for the healthy population of Brown Trout that exists in and around the quaint town of Fergus. Bill Spicer joins the staff from Grand River Outfitting & Fly Shop to do some dry fly and nymph fishing. He learns a number of great techniques which pay off on the river. 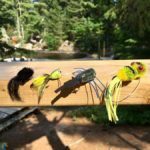 In this very special episode, the winner of the Algoma That Real Contest joins host Bill Spicer to do some fly fishing for smallmouth bass. The winner, who is from North Carolina, experiences his first Northern Ontario fishing and teaches Bill a few great new techniques for catching bass on a fly!